Heat a couple of inches of canola oil in a saucepan over medium-low heat. You can also use a fryer that has a set temperature gauge. I had mine at about 350 degrees. If your oil is too hot the outside will be brown before the inside gets done. Peel and chop your apples. I used Granny Smith but feel free to substitute in your favorite. 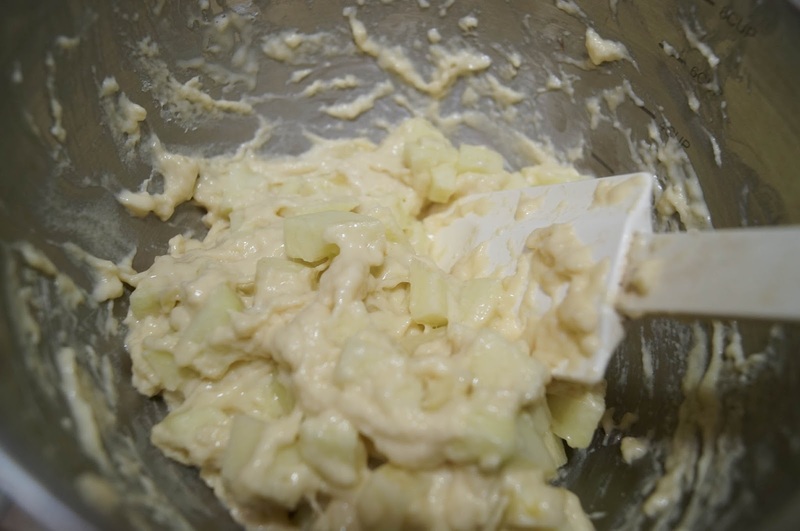 Mix together the flour, baking powder and salt. Add in milk and eggs. Mix just until combined. 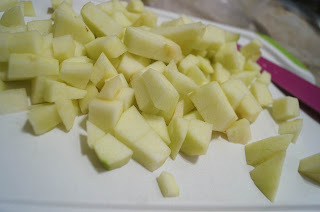 Fold in the apples. It will be a very thick batter. Before you cook you need to decide the size you want them. 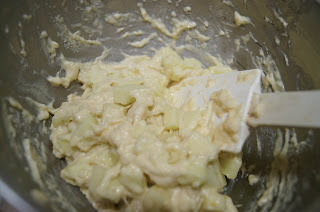 I used both a 1-½ tablespoon scoop and a 3 tablespoon sized scoop. 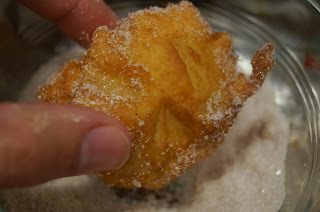 The smaller one makes a fritter you can pop the whole thing into your mouth. The other makes one that takes a couple bites. 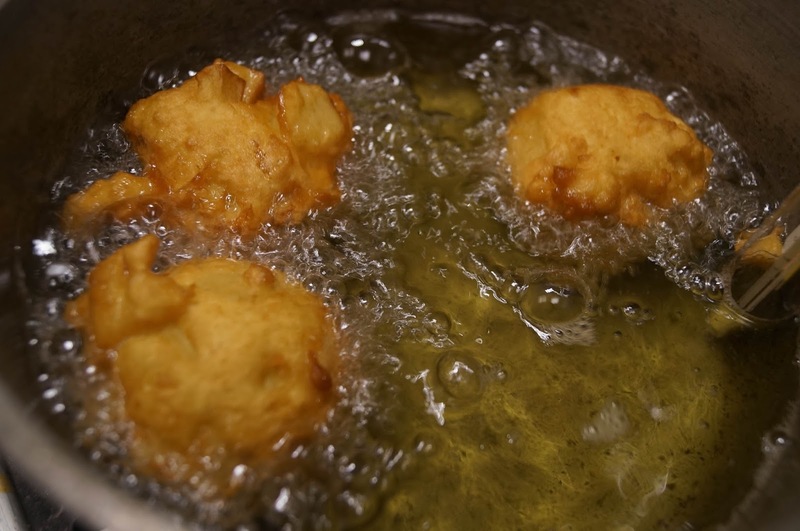 Drop batter into the heated oil. Fry until golden brown, 4 to 6 minutes turning once during cooking. Remove to a paper towel lined plate for just a moment. Then roll in cinnamon and sugar or dust with powdered sugar. 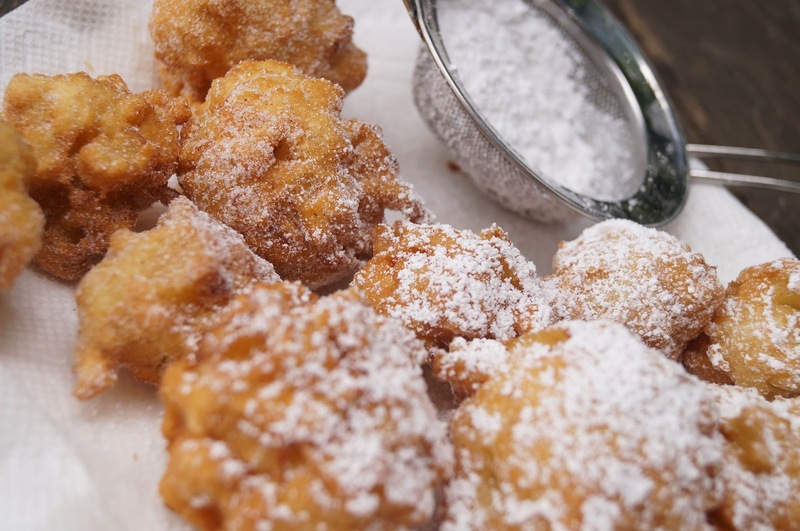 Either way makes for a delicious apple fritter! 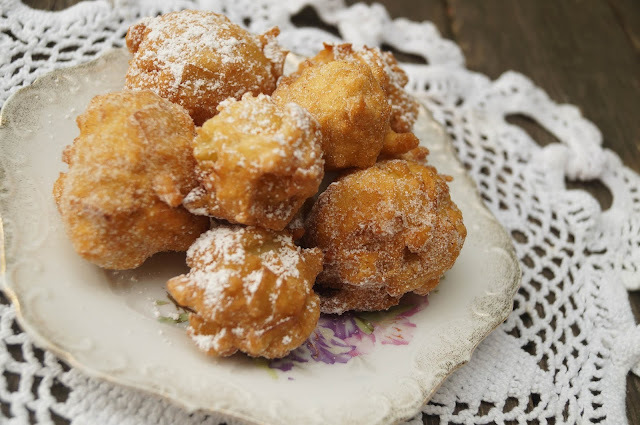 Delicious Jenny, I do love fritters whether they are sweet or savory. At the restaurant I use to help manage we made apple fritter sundaes with our apple fritters.You're making me miss Pa.! Thank you for sharing to Delicious Dishes Recipe Party Jenny! I've seen big fritters recipe's that seem very intimidating, I think I can do yours! 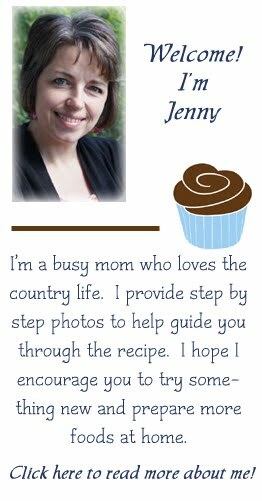 Thanks for sharing at Country Fair Blog Party!